Get 25% off the first month of your new craft box subscription with code BLOG25! 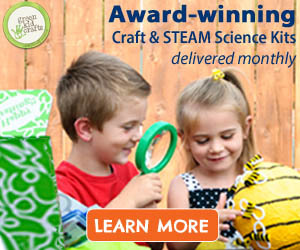 Green Kid Crafts delights tens of thousands of kids across North America each month with fun and eco-friendly craft and STEM activities delivered right to their door through our company’s craft subscription box program. Kids are sent a monthly Discovery Box, which is packed with between 5-8 activity kits designed to foster a child’s creativity and confidence. All of our kits are developed by teachers and STEM experts to support key developmental skills for kids ages 3-10. Each month brings a new theme; past themes have included Mad Scientist, Nocturnal Animals, Around the World, Outer Space, and Feathered Friends. 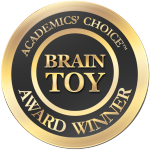 Our program has won a variety of awards including The Academic’s Choice Brain Award, Dr. Toy’s Best Green Products, Parent’s Choice Recommended, MACT Excellence Award, and many more. Our team of kid testers help design each Discovery Box as well as the fun activities and projects for our blog like this one! Growing grass is nothing special, right? Well, when you fill your grass with little animals, all of a sudden growing grass becomes VERY fun! 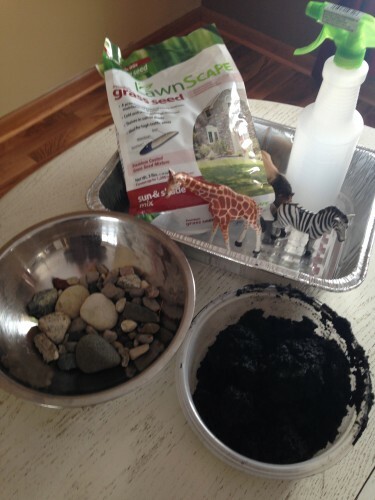 Make your own African playscape with this experiment! 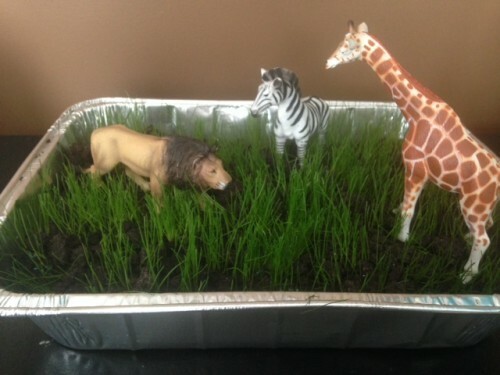 Supplies: grass seed, potting soil, aluminum pan, rocks, spray bottle, and african animals. 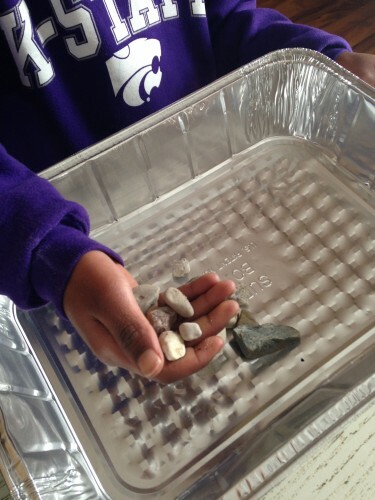 Step one: Fill bottom of the aluminum pan with rocks for drainage. We just collected some from outside. 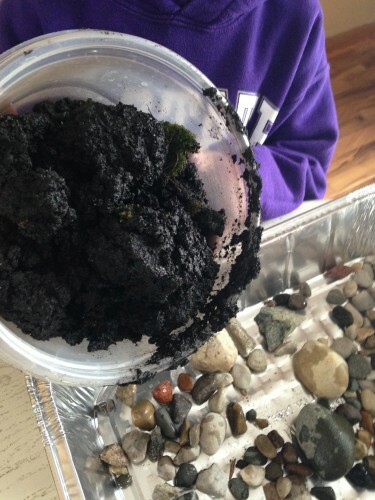 Step two: Put a layer of potting soil on top of the rocks. 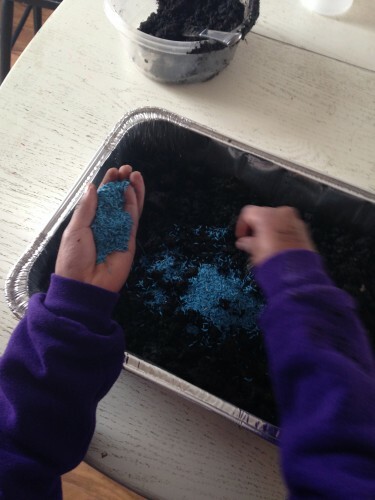 Step three: Lay grass seed on the soil and cover with another thin layer of soil. Step four: put the pan in front of the window. 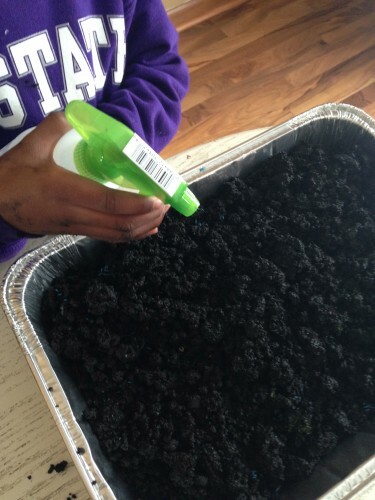 This is a perfect time to teach your child about what a plant needs to grow…sunlight and water. We filled the spray bottle with water and when it was dry we would give it a squirt! 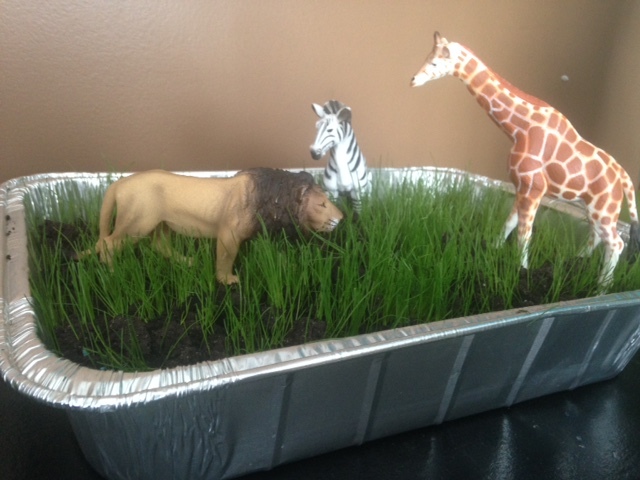 Step five: Add the animals to the grassland! We got books from the library about Africa and the types of animals and ecosystems located there. This is a great learning opportunity that is fun and so easy! From $16.95 / month! Monthly boxes come with 5-8 award winning Creativity and STEM Science Kits (science, technology, engineering, and math) designed by experts around national standards to build confidence, flex creativity, and make kids smarter. All materials and instructions included, along with some fun extras! Each Discovery Box is created around an exciting new theme each month (think Outer Space, Nocturnal Animals, Backyard Science, Ocean, and Mad Scientist). You can cancel anytime. 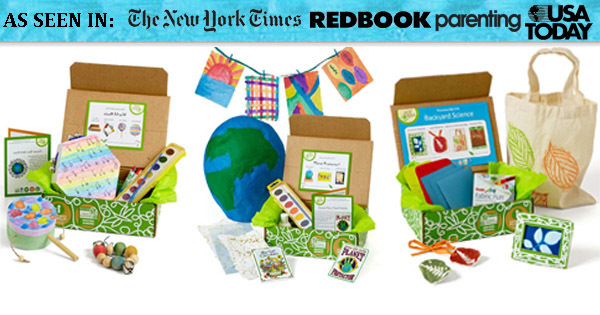 Join Green Kid now and get 25% off the first month of your new craft box subscription with code BLOG25!